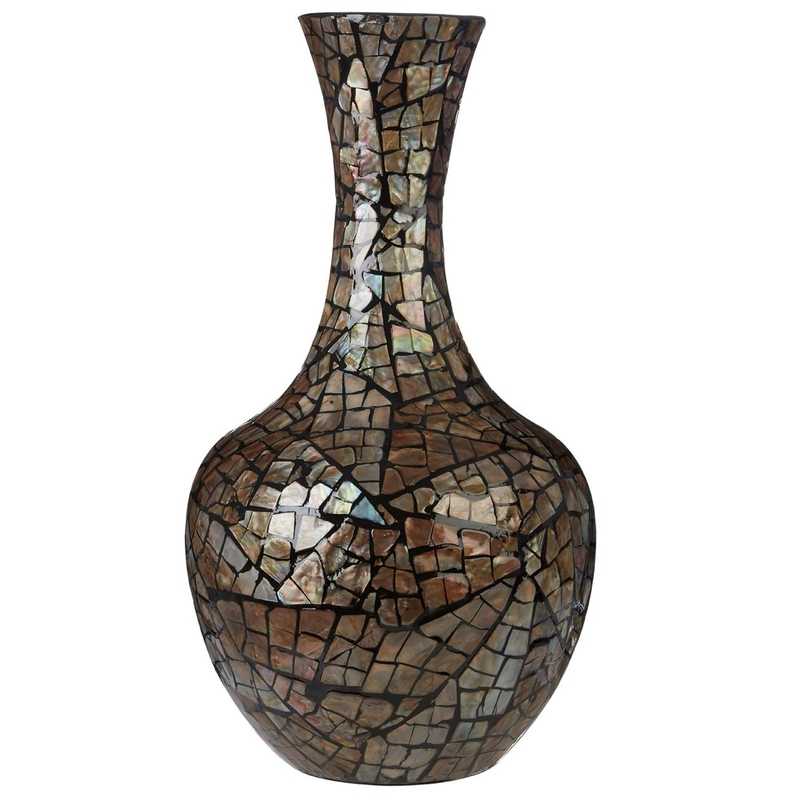 Make your home feel a lot more furnished and interesting by introducing this gorgeous Complements Bottle Vase. This bottle vase has a very stylish design that takes a traditional shape and gives it a unique, modern twist. This vase is created from a combination of Bamboo and Shell, enhancing the distinctive and interesting design.